The HCA opposes the London Borough (LB) of Haringey granting a licence for these proposed music concerts for a number of reasons, which we set out below. We have also set out a series of questions that we believe need to be answered before LB Haringey grants permission for the application. This is because it is not possible to get the full picture of what is proposed in the limited documentation which we have so far seen; and the very short time we have been given to respond to the consultation. The HCA is disappointed that the consultation process is not open to local people, who will be most impacted by the proposed music concerts in this application. Whilst we are aware that LB Haringey has an Outdoor Events Policy, we do not believe it is fair to use this to deny individual residents the ability to share their views whether they are a resident of LB Haringey or a neighbouring Borough. Can you please justify the reason why local people are being denied an individual voice in this consultation? Can you also confirm that the people who will be most affected (residents of LB Hackney and LB Islington) will have their proper voices heard during this consultation? We would also like you to confirm that the event organisers submitted their application the required nine months before the event date as set out in your Outdoor Events Policy? If this is the case, can you also confirm why it has taken almost five months to consult on the application and why the consultation period is so short? The HCA believes that the proposed length of disruption/closure of a large section of the Park - some 21 days - represents a significant loss of amenity over too long a time period. We note with some irony that the proposed length of the event closure is twice as long as the amount of time we are being given to respond to the consultation! The HCA also believes that a three week closure of a large section of the Park in the height of summer is a disproportionate inconvenience to local people. 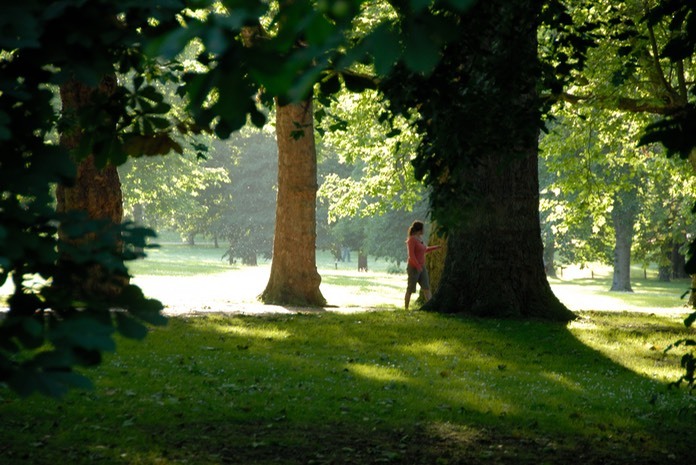 To many local residents, free access to the Finsbury Park is the only locally available open space which would be denied to them at the height of the summer months. The HCA believes that the proposed finish time of 10:30pm on Friday and Saturday, and 10:00pm on Sunday is too late and should be brought forward. We would be interested to know what measures are in place to enforce the finish times of the concerts. From previous experience local residents have to endure excessive noise not just during the concerts, but also in the preparation for the events. Can you confirm that, if the application is granted, the location and position of the stage will be directed away from nearby housing and soundproofed to an acceptable level to reduce the noise and inconvenience of the concerts taking place? Can you further confirm that any fireworks will not be set off at the end of the event, but will be done so during less anti-social hours? The HCA believes this damage is likely to happen again and is a further reason why the event application should be rejected. It is clear LB Haringey consider their longstanding relationship with the event organisers is of greater importance than the good stewardship and maintenance of the Park. Can LB Haringey confirm that there is a guarantee will be no damage to the Park as seen in previous years if the event application is granted? The HCA considers that the addition of another day where a 'community/charity' music concert will take place is not adequate recompense for the inconvenience of the main concerts taking place on the following weekend; and would simply be just another large-scale event that will produce the same problems of the 'paid for' events. It is the HCA's view that this just means the Park will be inaccessible for an additional week, and that the community benefits much more from free access to the Park than it does from a vague proposal for a 'community/charity event'. Can LB Haringey please confirm that local charities will benefit from any proceeds if this additional event takes place, the consultation information just refers to an unspecified 'national/regional charity'? Please also confirm how much you expect to raise for this charity and whether the organisers will be making a direct contribution to the proposed charity? London Underground are currently undertaking step-free access works at Finsbury Park station on the northbound platforms. As a result there is reduced access for people travelling north into the station (which will be the vast majority of people attending the proposed music concerts). London Underground are advising people to avoid using the station due to this reduced access. During Arsenal match days this access is further restricted due to short-term closures and trains running non-stop through the station to avoid dangerous overcrowding. These works are due to continue until August 2016, so will be taking place during the time of the proposed music concerts. It is the HCA's view that it would be inappropriate to approve this application whilst these works are taking place at Finsbury Park station. Can you please tell us of the discussions LB Haringey have been having with London Underground of the impact of their works with regard to this application? In previous years our residents have experienced anti-social behaviour due to the large number of people at the station (some with tickets for the events, some without). The HCA believes the anti-social behaviour that comes with such a large-scale event taking place for many hours over several days outweighs any 'public benefit' of putting on the concerts. We also do not believe the event is aimed at 'families' and 'older people' as your consultation document asserts. From previous years it is clear that the overwhelming majority of people are in your 'young people' category. Most ticket holders do not live in Haringey, Hackney or Islington so have no association with the area, but negatively impact on the local area for the duration of the events. Indeed the Wireless Festival is advertised on a national, and European scale. Can you please confirm what arrangements are in place to prevent anti-social behaviour? Your consultation letter makes some vague references that "security will be enhanced with resilience procedures further improved". Can you please explain what will actually happen in the local area to improve security and resilience? You also make reference to the "deployment of dedicated teams with specific responsibilities". Can you please confirm how many people this will involve and what their 'specific responsibilities' actually are? Also can you confirm the advice LB Haringey has received from the Police regarding the application. The HCA would like to see improvements of the provision of local information should you decide to grant the application. Can you confirm there will be a dedicated and working contact number and that local residents (including in Hackney and Islington) will receive leaflets delivered to their homes and businesses outlining the concert timings and who to contact in the event of a problem? The HCA believes the residents of Hackney and Islington are disproportionately affected by these concerts which are intentionally placed as far away from Haringey residents as possible. We do not believe that any potential 'public benefit' outweighs the damage and detriment caused to a large section of the Park for an excessive period of three weeks. We believe the loss of amenity over a three week period will harm local people's enjoyment of the Park. We also do not support the assertion that one benefit of the event will be 'raising the profile of the park and area nationally as a venue' as this will only likely encourage more music concerts taking place. We further believe the works taking place at Finsbury Park station potentially pose a threat to public safety as there is reduced access and it is likely the station will close during busy times to manage the crowds of the 45,000 people you expect to attend over several days. The HCA further believes there will be a repeat of the anti-social behaviour caused by concert-goers, the vast majority of whom have no connection whatsoever with the local community. We also do not support the addition of a further concert on the preceding weekend, as the details are vague and any potential benefits are not clear; and actually involve closing the Park for a further week. We would want to see much more information about how this would be organised, and which local charity would potentially benefit before reconsidering our position. We also believe the consultation period of 10 days is too short and should be open to individuals as well as local community groups. For all the reasons we have provided the HCA's considered and firm view is that the event application should be refused.